Comments on any article or content must include the’ URL’ of the content item to which you are referring. FarmHomestead.com contains hundreds of pages so, if you want a response, be sure to include a URL reference. But, please know, every comment is read and given the consideration it deserves. We thank you in advance for your comments and suggestions. FarmHomestead cannot offer medical advice of any kind. If you have a specific (personal) health question – please consult a qualified medical professional in your area. 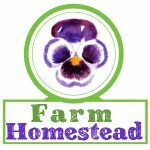 FarmHomestead.com does not necessarily ‘fully endorse’ every single concept or idea written by our featured or staff writers. If you would like to contact any of our featured writers – simply look for their information in the ‘About the Author’ section just below the article. If you have a comment about a particular article, be sure to use the comment section located at the bottom of each article. Our articles are copyrighted by FarmHomestead.com or the author of the article. Please write us for permission, which we grant freely, most often, before posting. Some authors have written specifically for FarmHomestead.com and won’t always grant this request. We do ask that you link back to our site – as the source of the article that you use and that you use our articles for ‘non-commercial’ purposes.